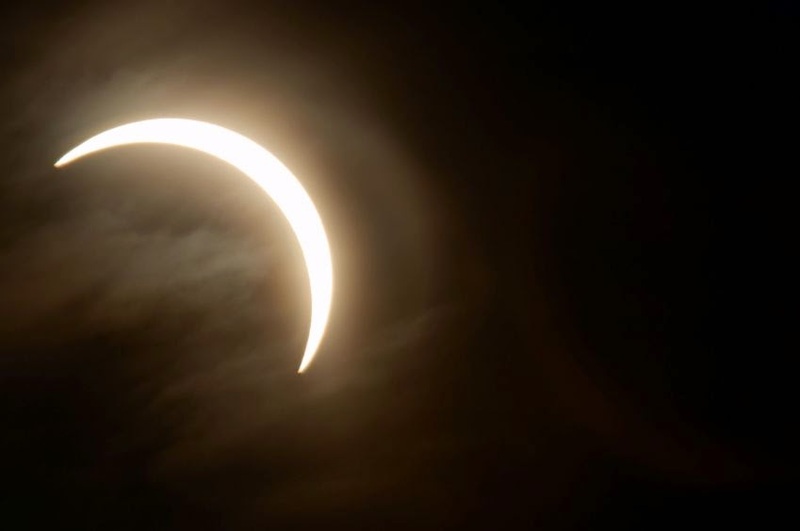 Phonebox Magazine : Partial Eclipse- Look outside tomorrow morning! Partial Eclipse- Look outside tomorrow morning! A solar eclipse happens when the Moon passes between the Sun and Earth, which causes a shadow to be cast onto the Earth. The Sun is 400 times bigger than the moon, but because it is 400 times further away from Earth than the Moon, they look the same size. To experience the total eclipse you need to be beneath the Moon's shadow. There is going to be a total solar eclipse which will be visible across the arctic and Northern Europe. It is going to be the first solar eclipse seen in Europe for over a decade, and the best places to view it are going to be The Faroe Islands and Svalbard. Many parts of Northern Europe will witness a partial solar eclipse, which is what we will see. 98% of the sun will be blocked out and most of the country will be thrown into darkness. The National Grid have been preparing for the loss of 2 hours of solar power for over nine months, although if it is a cloudy day tomorrow there won't be as much to be seen. In England, we are likely to see the partial eclipse between 8.21am and 10.41am tomorrow morning, the best time to view it will be at around 9.30am. As always, looking at the sun is extremely dangerous and can seriously damage your eyes, so while many will be heading out to view this spectacle, make sure you do so safely. Reflections of the partial eclipse can be seen through using a mirror or putting a pinhole in a piece of paper and reflecting it onto a piece of plain paper, or you can get hold of special eclipse goggles or glasses. There is also going to be a live streaming online of the eclipse, which you can watch by clicking here. The next eclipse to be seen in Europe won't happen until 2026, so don't miss it!